When someone squints into the astonishing architectural design of a house or a beach resort made by Impala glass industries it would be easy to believe that the stunning luxury designs only shown in fantasy movies do exist. Different exteriors and interiors have been designed using various types of glasses fit for the place; a few tucked at the edge of the lawn and few facing the backyard or at the entrance, giving it an exotic look. A few architectures have monolithic wood blocks with glass fitted in between to give it a classy and modern look with carved interiors and exteriors. In addition to this glass doors, glass walls and glass furniture's add elegance to the place. Impala glass industries have great ideas for architecture designs of commercial, industrial as well as residential plot. 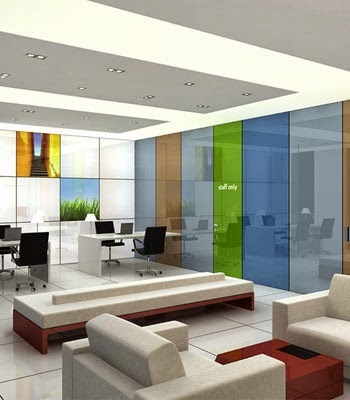 Glass is extensively used in architecture, Impala glass industries creatively uses glass in designing interiors and exteriors of office blocks and adds double glazing glass to the elevations. Various elevations can use toughened, laminated, sandblasted, silk screened or other types of glass otherwise clear, tinted and reflective glasses also give a classic look to the interior and exterior of the place. The architects at Impala glass design buildings in innovative ways with eye catching looks. Few well known sky scrapers have been constructed with glass architectures like the Torre Caja in Madrid, Spain, which is the 4th tallest in European Union constructed beautifully with glass. The architecture of the building was well planned with tall arches and glazed glass was used for the exteriors of the building. Another famous example of contemporary glass architecture is SGG Parsol at Swiss Re, London. It is a very tall building visible from far away, the building is a cigar shaped made with glass and steel design. The architecture of the building is unique and impressive and visitors have admired the glass interiors and exteriors of it. The glass elevations are diamond shaped and the architecture have been designed in the way that energy saving methods are used to minimize the energy utilization and preserve more of it. Glass can do wonders; it can give outstanding exterior and interior look to the place and also help in saving energy. 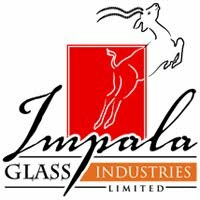 Impala glass industries has constructed many stunning architectures for various buildings, architects from around the globe are working hard to make the world look beautiful by constructing astonishing sky scrapers and innovatively designed building . Glass interiors and exteriors are used widely in various buildings and residential plots; adding glass doors and panels with the wooden frames gives an exotic look to the place. Various framed and frameless glasses are available at Impala glass industries to fit customers taste and needs. The glass is constructed depending on the specifications given by the customers and there is a huge collection to choose from. Along with the exteriors and interiors designed with glass, people also admire glass signs with name of the company or the initials and logo put up near the front gate. The name looks bold and shines brightly bringing the people attention on it. Glass is used in many things these days; from wine glass, vase and furniture to huge skyscrapers all use glass in their manufacturing. Impala glass industries design all glass products with expertise and perfection.